Ten of the 23 ex-Berkut riot police officers suspected of gunning down protesters in the last days of the Revolution of Dignity in Kyiv have received Russian citizenship, while a further two men have been given ’refugee’ status, according to Kharkiv Human Rights Protection Group. Meanwhile, the Kremlin-backed militants in Donbas, whose position in all such matters is dictated by Moscow, recently added three ex-Berkut officers charged with the deaths to their list of people to be handed over in exchange for Ukrainian POW and civilian hostages. Those figures were reported before another suspected killer Vitaly Honcharenko and three other former Berkut officers fled to Russia in April 2017, KHPG reports. There is no reason to believe that Russia is unaware of the role played by these men and other former Berkut officers. Quite the contrary, since two men wanted by Ukraine for crimes against Maidan activists have been spotted in Moscow helping the regime of Russian President Vladimir Putin crush protest at home. Among the photos depicting the violent suppression of peaceful protest in Moscow on June 12, 2017 was one showing a man dressed in Russian OMON riot police uniform but the spitting image of Serhiy Kusyuk whom Ukraine would like to try for his leading role in the bloody dispersal of Maidan activists on November 30, 2013. Kusyuk was then the Berkut unit commander in charge, while Petro Fedchuk, who is also wanted for his role during the suppression was the deputy head of the Kyiv police. He, or his double, was seen on December 30, 2014 in Moscow, during a protest against the sentences passed on leading opposition politician Alexei Navalny and his brother Oleg. Read alsoPGO finds indirect evidence of Yanukovych ordering Maidan dispersalUkraine’s Berkut units were disbanded after Maidan precisely because the units had been so discredited by their violent suppression of the protests. Some of the Crimea Berkut unit who betrayed their oath after Russia’s invasion and annexation of Crimea have since helped Russia to imprison Ukrainian activists in trials of astounding lawlessness. 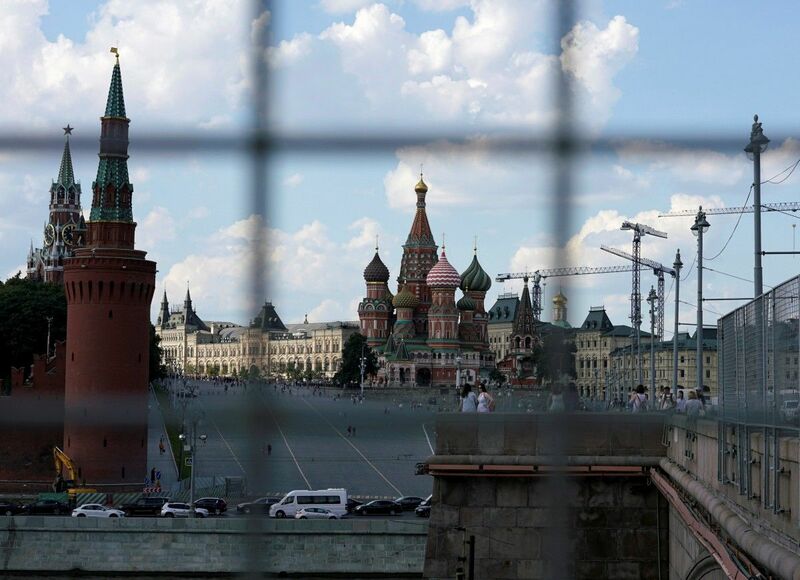 Two men are currently imprisoned in Russia for ‘offences’ which they allegedly committed in the capital of Ukraine before Russia’s invasion of Crimea. Judging by the promises of the de facto prosecutor installed on Russia’s invasion, more such ‘prosecutions’ were planned. The two cases make it abundantly clear that no Ukrainian who took part in Maidan should consider going to Crimea while it remains under Russian occupation, and they travel to Russia at great risk also. Read alsoKyiv Berkut's ex-chief spotted in Moscow dispersing rallies (Photo, video)Oleksandr Kostenko is a former police officer who took part in Euromaidan from the beginning. He was arrested in Russian-occupied Crimea on Feb 5, 2015, and savagely tortured for over 24 hours before the officially recorded time of arrest. The only ‘lawyer’ present was one appointed by the investigators, and a ‘confession’ was obtained from Kostenko, as well as a statement that he had been beaten on the street by unidentified individuals. Kostenko retracted all such ‘confessions’ as soon as he was able to see to a real lawyer. Read alsoUkraine's chief prosecutor expects completion of Maidan investigation by year-endKostenko was charged with inflicting minor injuries to a Ukrainian Berkut officer in Kyiv on Feb 18, 2014. He had, it was claimed, deliberately aimed a cobble stone at V.V. Poliyenko, with this allegedly resulting in Poliyenko receiving an injury “in the form of a large haematoma on the left shoulder”. The court ignored both the surreal absurdity of the indictment and Kostenko’s retraction of his initial ‘confession’. On May 15, 2015, Simferopol court found Kostenko guilty of both charges, sentencing him to 4 years in prison. The sentence was later reduced to 3.5 years. The Memorial Human Rights Centre soon afterward declared Kostenko a political prisoner. Read alsoFirst Blood of EuroMaidan. "They stomped on us, beat and finished us with batons"The trial of 22-year-old Kolomiyets on June 10, 2016 sent a particularly chilling message to all Ukrainians since the young man was effectively abducted from Russia and taken to Crimea. The young man was sentenced to 10 years in a maximum-security prison. Unlike Kostenko, there was nothing to link Kolomiyets with Crimea. He is from the Kyiv region, and was living in the North Caucasus with his partner, now wife Galina and her children. He was seized by local police on May 15, 2015, tortured, and then taken to Crimea. Kolomiyets was sentenced to 6 years on the ‘attempted murder’ charges and 4 years over the drugs charge. The Memorial Human Rights Centre also declared Kolomiyets a political prisoner. It dismissed the first charges as something Russia has no jurisdiction over, and believes it likely that the drugs were planted.